Dr. Whitworth and the Whitworth Animal Clinic staff provide spaying and neutering to help maintain the health and happiness of your pets. Spaying your female cat or dog involves the removal of the ovaries and uterus. Similarly, neutering male cats and dogs is the removal of the testicles. The procedures can be done with limited hospitalization and with a quick recovery. Pet overpopulation has become a problem all across the country. There are simply not enough good homes for the amount of puppies and kittens that are born each year. Spaying and neutering are the easiest way to protect your pet from having unwanted litters. Additionally, spaying is proven to reduce incidences of uterine and ovarian cancers, which can be fatal in nearly half of all female dogs and 90% of female cats. Neutering your males will keep roaming to a minimum and it improves the overall disposition of your pet. Whitworth Animal Clinic is proud to provide safe spaying and neutering in Madison. Spaying is proven to reduce the incidences of uterine and ovarian cancers, which can be fatal in nearly 1/2 of all female dogs and 90% of female cats. There is no medical reason for a female dog or cat to need to have a heat cycle prior to being spayed. Heat cycles with female cats involve a lot of pacing and crying that make both you and your pet miserable. A cat will continue to go into heat every 2-3 weeks unless they are bred. A dog’s cycle lasts for 21 days and occurs every 6 months. Because bleeding is present going into and out of the cycle, it can be difficult to allow them to stay in the house, especially if they get on furniture. Occasionally, moodiness transpires such as being snappy or territorial with other pets in the household. Preventing the heat cycle will allow you to have a much happier pet. Male cats and dogs that are not neutered are hard to redirect and train. They remain fixated on escaping to find a mate. Such escaping can lead your dog to disappear or cross busy neighborhood streets. As a result of neutering, your male pet will have a calmer disposition and will most likely respond better to training regimens. The cost of spaying and neutering is minimal when you consider the many benefits for you and your pet. 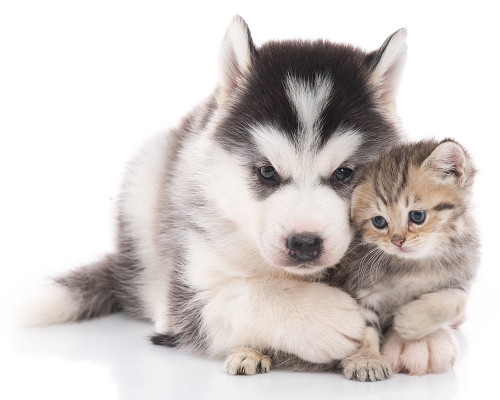 Our office will provide the best care when you are ready to spay or neuter your pet. Call Whitworth Veterinary Clinic today to get your pet taken care of.